Where is Pocono Springs located? Pocono Springs is located in Marshalls Creek, Pennsylvania, in the Southern Pocono Mountains. The camp’s convenient location is less than 75 miles from New York City and 100 miles from Philadelphia. It’s also in close proximity to major airports, and just hours from Westport, CT, and Baltimore, MD. Does everyone start and finish at the same time? Yes, Pocono Springs runs one five-week session for all campers. Every camper starts and finishes on the same day and gets the same full-season experience. Why a 5-week summer camp? Pocono Springs’ unique 5-week program was created to provide families with what they’ve been asking for: a full-season camp experience where campers thrive, while still leaving time for family activities, specialty camps, and other summer fun outside of camp. Pocono Springs is a family of our own, and we recognize and value the need for flexibility, and the importance of family and leisure time, over the summer. How are cabin placements determined? Cabin placements at Pocono Springs are made with careful consideration to a camper’s age, interests, and personality. 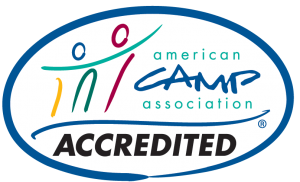 We thoughtfully review all camper information, and place campers in the cabin they will find the greatest success. We know the value of cabin life and work hard to ensure the best possible living situation for our entire camp community. Are there showers in the cabins? Yes, every cabin is equipped with multiple private showers, bathroom stalls, and sinks. How often do campers write home? Campers write home two times each week. What is the package policy? Flat, 8” x 10” envelopes may be used to send reading materials such as books, magazines, comics, and newspapers. We do not allow campers to receive packages of any other kind (games, toys, food, etc). This policy is for the benefit of all campers as such packages can cause competition and jealousy, as well as clutter in the cabins. Is Pocono Springs a uniform camp? Yes. As a registered family at Pocono Springs, you have an account on our website through the Parent Dashboard that allows you to send letters via email. Campers will not be able to respond by email. All emails will be printed at the beginning of each day and distributed to the campers as part of our daily mail delivery. Every family will have the opportunity to schedule up to two phone calls with their child during the summer. Is there intercamp competition and do you have to make the team? Campers have the option of participating in intercamps and tournaments against other camps. There are no tryouts and campers do not have to “make the team.” Any camper who wants to participate is welcome and is guaranteed to play. We love to win, but our focus is on good sportsmanship and having fun.